Have you ever had the Swedish Crepes at IHOP? 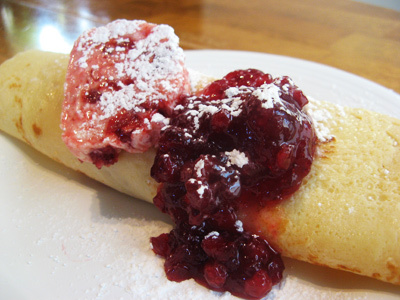 I was hooked from the first bite of those delicate crepes topped with a lingonberry butter and lingonberry sauce. I learned they are a tart berry grown on low evergreen shrubs throughout Scandinavia’s forests. The only time I’ve ever come across Lingonberry Sauce was at World Market aka Cost Plus and I had to pick up a jar. They are dark red in color and tart like a cranberry but smaller. I would have to say these belong on a dessert menu and unlike IHOP, I chose to fill the crepes with a lemony cream cheese filling. I took a page from Pioneer Woman’s blog. 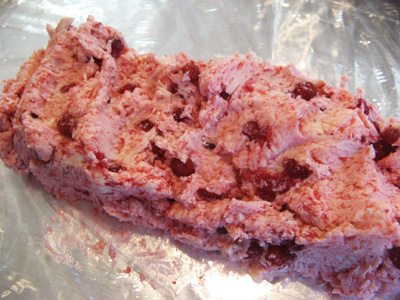 She made berry butter using fresh berries and froze it in a log to be used later. So I decided to make a log of lingongberry butter using a half cup of sauce to 2 sticks of butter. 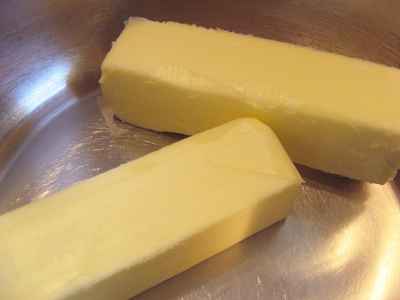 Let the butter sit at room temperature for at least 30 – 45 minutes. 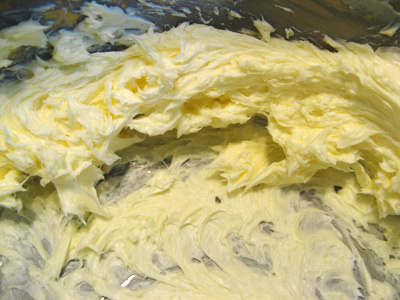 Place softened butter into a mixing bowl and beat until smooth and creamy. Add the 1/2 cup of lingonberry sauce and mix until well blended. Take a sheet of aluminum foil and lay a sheet of plastic wrap on top. 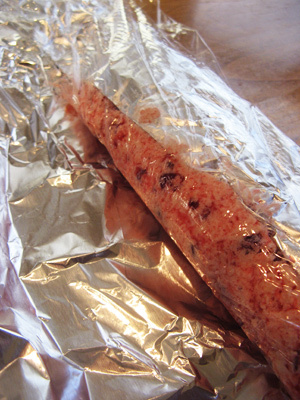 Scoop the butter from the mixing bowl and form a log of lingonberry butter onto the plastic wrap. Start to roll it up. I tried to make it round but wasn’t as successful as I thought! Twist up the ends and place in the refrigerator if using soon or in the freezer if keeping for later. Confession time . . . when time came to make the crepes I started getting the ingredients ready and found I was out of milk but I had a carton of buttermilk that made for a good substitute. 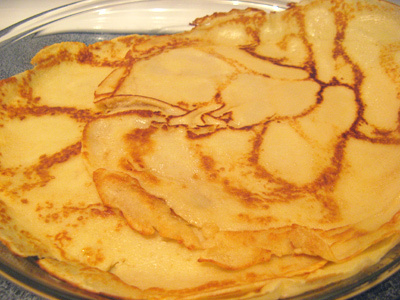 I’ve made this recipe many times and found that either type of milk will make a delicate crepe. You’ll also need some sugar, flour, salt, 2 eggs, and butter. In a separate bowl combine buttermilk and eggs together. 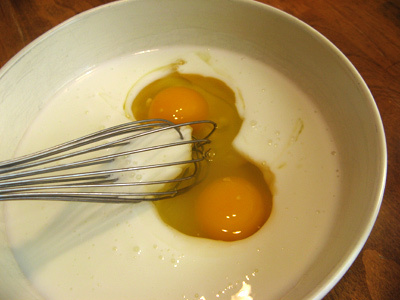 Whisk buttermilk and eggs together. 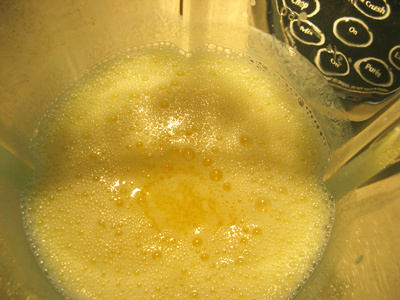 Pour the buttermilk egg mixture into a blender and add the melted butter. Next, add the dry ingredients and blend until all ingredients are incorporated. 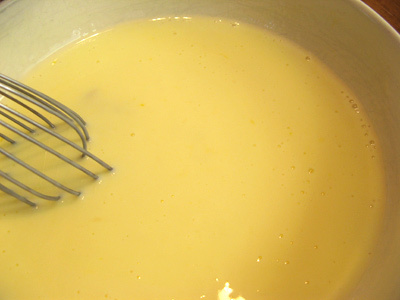 The batter will be thin which will make a light crepe. Time to place into the fridge for 30 – 45 minutes. 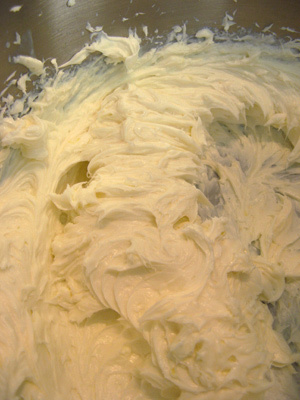 While the batter is chillin, it’s time to make the lemony cream cheese filling. 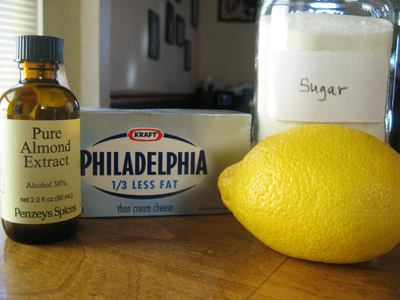 I used 8 ounces of light cream cheese, 1 teaspoon lemon zest, 1/3 cup of sugar and 1/2 teaspoon almond extract. Again, let the cream cheese soften to room temperature. Sorry for the horrible picture, I only took one pic and this is it. I placed all the ingredients into a mixing bowl. 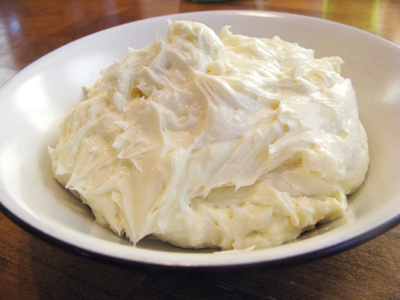 Use the hand mixer to beat the cream cheese filling until light and creamy. Looks just like the butter, only whiter. I scooped it out and placed it in a bowl until time to fill the crepes. Okay, finally time to make our crepes. Heat up a 10 inch non-stick skillet over medium high heat. 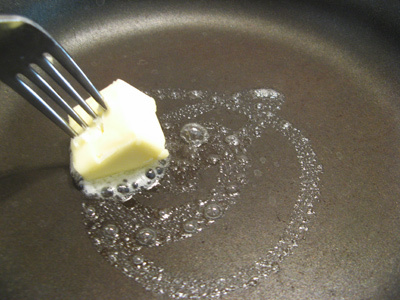 Take a pat of butter and spread a little over the hot pan until you have a light coating. This will prevent your crepes from sticking. Or you could use some cooking spray, but I prefer butter for crepes. I use a 1/3 cup measuring cup to ladle the crepe batter into the pan. As soon as you can start tilting the pan to swirl the batter so that it coats the entire bottom of the pan. 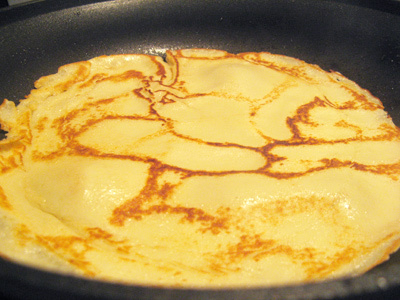 You will start to see the crepe form and bubble slightly in the center. After a couple minutes check to see if the crepe will slide easily in the pan. If so either toss the crepe to heat the other side or use a spatula to turn the crepe over. I have learned over time how to toss the crepe. It’s easier to just do it fast and it usually lands perfectly on the other side. My guys think it’s fun and I always have a helper to toss the crepes for me. Once you’ve turned it you can see how it looks, light and beautiful. I have found that the first one is the hardest and they get easier from there. I just layer them on a pie plate on the stove to keep warm. This is how I made them. Place 2 dollops of cream cheese filling in the middle of the crepe. Then gently roll it. 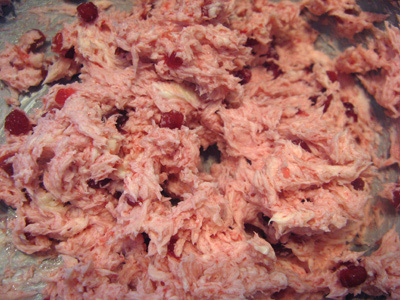 Top with a pat of butter and 2 tablespoons of lingonberry sauce. Really, you don’t need this much butter but I thought it looked good in the picture. 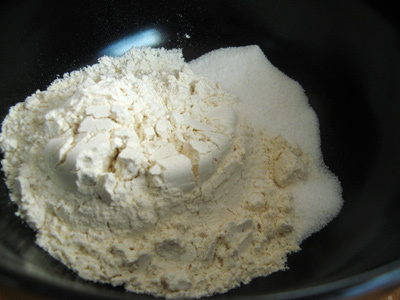 Combine flour, sugar and salt together in a small bowl and set aside. 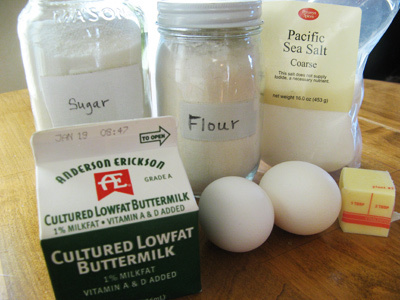 Whisk together buttermilk and eggs and place into a blender. Add the melted butter to the mix. 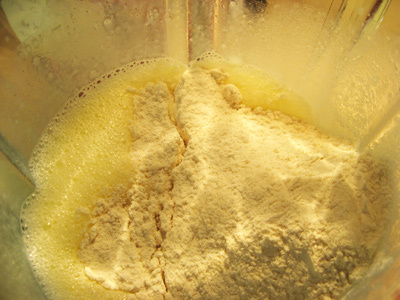 Next, add the flour mixture and process until smooth. Place in refrigerator for 30 – 45 minutes to chill. Heat a 10 inch non-stick skillet over medium high heat. Pour 1/3 cup batter into pan. 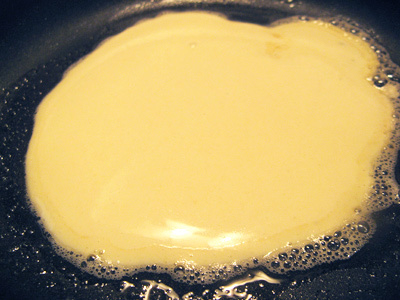 Quickly tilt pan in all directions to batter covers pan like a thin film. Cook 1 – 2 minutes. Check the crepe by carefully lifting the side with a spatula. 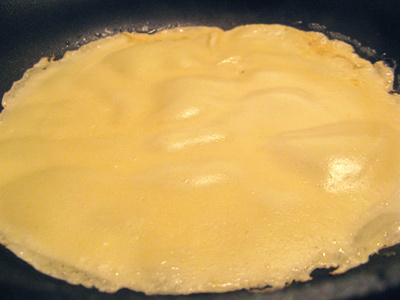 The crepe is ready to turn when it can be shaken loose from the pan and underside is slightly browned. Turn crepe over and cook 30 seconds to 1 minute more. Place crepes on a warming plate on the stove to keep warm. Repeat procedure with remaining batter Note** If crepes stick place a piece of wax paper between each crepe. 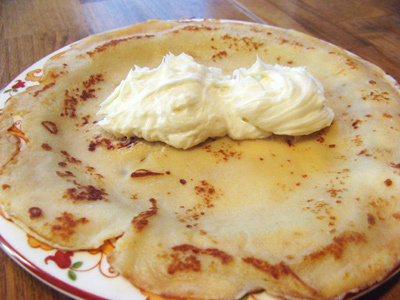 Place a single crepe on a plate and fill with 2 dollops of cream cheese filling. Roll the crepe gently around the filling. Top with Lingonberry Butter and Lingonberry Sauce. Makes 8 crepes with filling. 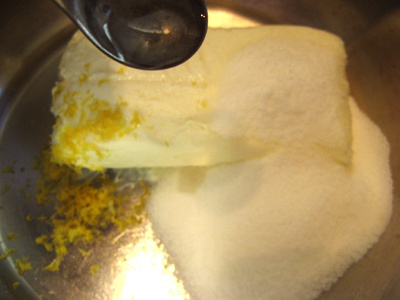 Let butter stand at room temperature until softened. 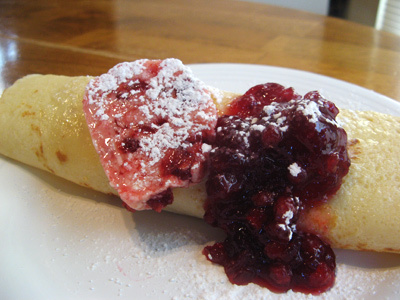 Using a hand mixer, cream the butter, add the lingonberry sauce and mix together. 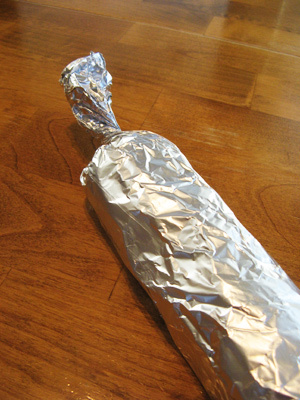 Place a sheet of aluminum foil and a sheet of plastic wrap over top. Scoop your butter over the plastic wrap and gently form into a log, wrapping the plastic and aluminum foil around the log. Twist the ends and place the log into the refrigerator. Any unused butter can be placed in freezer for later use. **Note, butter will turn hard like a stick of butter. 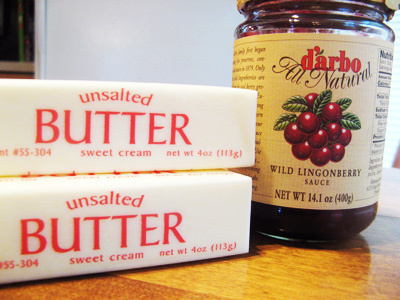 Cut a pat of the lingonberry butter just like regular butter. Combine all ingredients into a mixing bowl. 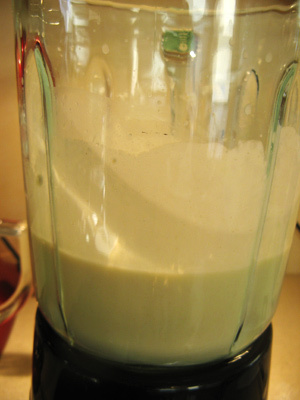 Using a hand mixer blend together until light and creamy. Transfer to a bowl until ready to use. I made these crepes for supper and they were awesome!!! My son and I couldn’t get enough of them. I made them plain without the filling and I used gluten free Bisquick. I found Ligonberry preserves at my local grocery store and made the butter to go with them. I also made steak and chicken omelets to go with them. Thank you for the recipe. Thank you so much for your kind comments. 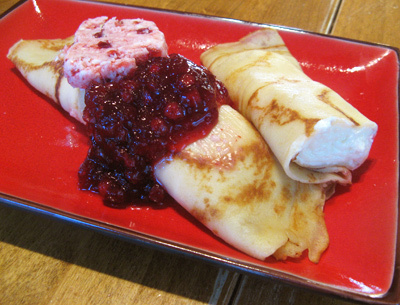 I’m so glad you enjoyed your crepes with Lingonberry butter. Your meal sounds wonderful! I made this exactly as you described using frsh lingonberries my mother just brought back from a trip she took in Scandanavia. I think I died and am writing this from above. I only had regular cream cheese and used 1 dollop which was plenty. Thanks for the nice compliment! 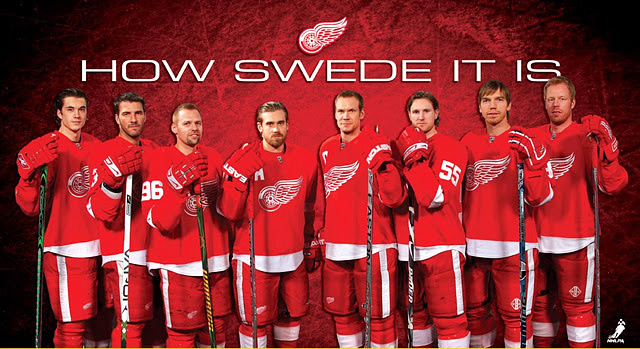 They must have tasted fantastic using fresh lingonberries! Yummy, Yummy, Yummy! It’s Exactly like IHops! Especially the lingonberry butter! THANK YOU! Thanks! Glad you enjoyed it, I love the Lingonberry crepes at IHOP’s too! They r the best ive ever had! I added some finely chopped walnuts to the cream cheese filling recipe & it was AMAZING!! All my friends want me to make them all the time. Thank u for the great recipe!!!! Thank you, Misti for the wonderful comment! I’m so glad you enjoyed them. Can’t wait to try it! My husband and I had lingonberry crepes in a little Swedish town on one of our first few dates! I really like salted butter. Could I use salted butter for the crepes and lingonberry butter? Or do you think it’s better with the unsalted? Isn’t it nostalgic when food can take us back to a time and place. I love your memory of a special date with your husband. I think salted butter would be okay, although I haven’t tried it. I always have unsalted butter on hand and just add salt when a recipe calls for it. Give it a try and let me know how it turns out.